Welcome to the University of Toronto Division of Maternal-Fetal Medicine (MFM)! We have now evolved to become a distributed Division, though primarily located at our three major teaching hospitals: Mount Sinai Hospital-University Health Network (MSH-UHN), St. Michael's Hospital (SMH) and Sunnybrook Health Sciences Centre (SHSC); our partners include a number of community hospitals and the Hospital for Sick Children. Our Division embraces an array of clinician-educators, clinician-investigators, clinician-scientists, and clinician-epidemiologists, offering a wide variety of research opportunities across all levels of training. Along with the wider Department of Obstetrics and Gynaecology, the MFM Division will play an enthusiastic role in the newly-launched Fraser Mustard Institute for Human Development here at the University of Toronto. Together with our obstetrician-gynaecologist colleagues and all maternity care providers across hospitals, we form a network that contributes to over 30,000 deliveries each year, a resource that offers tremendous research possibilities in future years. Our division encompasses three downtown TAHSN hospitals, with 28 members between Mount Sinai Hospital, Sunnybrook Health Science Centre and St. Michael’s Hospital. We provide consultative services for complicated pregnancies throughout the GTA and, in fact, across the country for such topics as fetal therapy. We are a highly productive division in terms of education, research and administrative services within the Department of Obstetrics and Gynecology at the University of Toronto. With the advent of Dr. John Kingdom assuming the Chair’s position, we, along with other divisions, underwent a Strategic Planning exercise culminating in a new 5-year vision of connectedness: furthering our collaborative efforts as TAHSN divisional members as well as a bold new direction in building a network of MFM into the GTA. This network, which has wide buy-in from TAHSN and community hospital sites, will provide an academic U of T vision of research, quality improvement and strategic recruitment of physicians to better deliver high-quality MFM services to the over 65,000 pregnant women in the GTA. 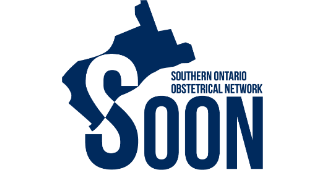 A GTA-wide obstetrical network (GTA-OBS Network), headed by Dr. Jon Barrett, has made significant advancements in research and quality improvement initiatives toward these goals as of June 2014. Our Fellowship Program continues to flourish under the leadership of Dr. Cindy Maxwell, and our 2014 graduates (Drs. Tim van Meighem, Nir Melamed, Ryan Hodges, Rohan D’Souza, and Anne-Maude Morency) have either returned to their desired centres to practise, or have been recruited to Sunnybrook (Nir Melamed) or Mount Sinai Hospital (Rohan D’Souza). St. Michael’s Hospital graduated 2 fellows from their high-risk fellowship who have gone on to further studies at Motherisk, Hospital for Sich Children. In addition, Dr. Anne Berndl from McMaster University was recruited to Sunnybrook where she will join the productive team at the Centre for Maternal, Infant and Child Research. Upcoming years promise to be an exciting and productive year as we further embark on initiatives to capitalize on the potential that a strong GTA-wide MFM network can deliver to the University, the GTA region, nationally, and internationally.